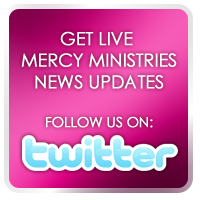 Mercy Ministries News: Amazing Testimonies Pouring in from the Mercy For Series!! Amazing Testimonies Pouring in from the Mercy For Series!! A couple of years ago, Nancy Alcorn felt prompted by God to put the life-changing principles of freedom found in God’s Word that are used at Mercy Ministries in book form, so that the people who are struggling with life-controlling issues could experience freedom without having to come to a Mercy Ministries program. Since that time, the first four books of the Mercy For Series have been released. These books deal with the issues of sexual abuse, eating disorders, cutting, and addictions. Since the release of these books, we have consistently prayed that God would use these books to help the masses of people out there who are still struggling with these and other issues. Recently, testimonies have been pouring in to show the fruit of our prayers. We wanted to share some of these personal comments with you so that you would be encouraged to get these books into the hands of people who are struggling with these issues. I have only read the first 10 pages of Violated, and the book is already heavily marked up with thoughts I relate to. I’ve read a lot of books on healing from sexual trauma. This is the most straight forward approach I have seen—and again, I’m only 10 pages in! Thank you for leaving out the “fluff” and getting to the core of the issue from the very start. About a year ago I received your incredible book entitled Cut, from my sister. Although I still struggle, I am very proud to inform you that my one year anniversary FREE FROM SELF HARM quickly approaches, September 19, 2007…for me it is nothing short of a miracle. I wish to express my deepest thanks to you, Nancy and of course to the Lord, my Father. When I started reading this book, I thought that it would be just another book about self-harm, telling me things I already knew and giving me advice that would change nothing, leaving me with the same pain and hopelessness. But I was so wrong; from the first page I knew that this one was different....this book made me feel like maybe I matter, not just to anyone, but to God! It talked about a change of heart instead of just trying to fill the gap self-harm leaves with something pointless but less destructive. Reading about God’s love, compassion and mercy for me has helped me see that I do have some hope, even if it's small. WOW, Starved: Mercy for Eating Disorders is an awesome book that addresses one of the biggest issues of our society! This book brings insight into what behaviors that I can watch for in my developing girls. I have recommended this book to several of my friends. The stories of changed lives are so inspiring and the book is so practical in laying out the steps to freedom. Thank you for offering hope and healing through this book! I struggled and battled with an eating disorder for many years, and actually was a resident at Mercy Ministries for quite a while. I can tell you that I am LIVING PROOF that the principles in Nancy's book are LIFE CHANGING and HEALING! God's power WORKS to conquer the strongholds in our lives and eating disorders are no exception! This book is not only beneficial for people struggling with eating disorders, but for anyone with any kind of stronghold or addiction! GOD HEALS! I am now walking in freedom... PRAISE THE LORD and THANK YOU Mercy Ministries!!!! A friend of mine who, had been struggling with the aftermath of sexual abuse, gave me a copy of your book, Violated. She wanted me to understand better what she was going through and how it had affected her. I found it very helpful and really came to understand the long-term affects of sexual abuse. However, healing can be achieved through God’s love and this book outlines that perfectly. Thank you for creating a resource for those who are trying to support someone through their healing process. I ordered some books of Nancy Alcorn’s and they changed my life. . .After reading Cut, Trapped, and Violated my view on life was changed. . .I know I am changing for the good, that God has always been here for me. I’ve been told time and time again that he has but did not believe it. In Alcorn’s books she puts it all into perspective, makes it understandable to people like me who were never shown who God really is. I wanted to take a moment to tell you that I have been receiving healing through your Mercy for Addictions book. I have struggled with addictions for some time, and Mercy for Addictions really hit the mark. I truly enjoyed the way the book was written. It really showcased the fact that there is pain behind the symptoms. It helped me to get down to the root issue. I loved how it was separated into practical steps. Thank you so much for the work that you do. Get your copies of Cut: Mercy for Self-Harm, Starved: Mercy for Eating Disorders, Trapped: Mercy for Addictions, and Violated: Mercy for Sexual Abuse at www.mercyministries.com today. They are $9.99 each or get all four for $35. Stay tuned for the next books in the Mercy For Series, Beyond Cut and Beyond Starved. These books include real stories of real freedom along with a practical application section at the end of each chapter that teaches readers how to overcome the issue or to help someone else who is struggling. These books are set to be released this fall – stay tuned! !